IMAGINE an opportunity to travel to the United States to participate in a fun, exciting and challenging immersion program that combines all the fun of a summer camp with the opportunity to improve English proficiency while building greater independence and confidence speaking English. 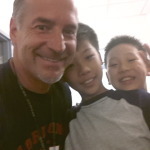 This full immersion language program allows international kids to spend three weeks learning and playing with same-aged American kids in the United States. 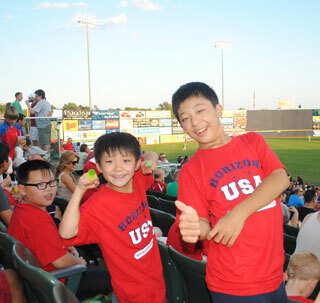 EXPERIENCE the language and cultural advantage of immersion by playing side by side with American kids at summer camp! You make new friends, gain greater confidence with your conversational skills and you will have a blast while doing it. 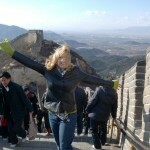 This program is a great combination of language immersion, fun & games, cultural exposure and weekend travel. This program is ideal for those who may consider attending a private, independent high school in the United States, or for those who just want to vastly improve their English language skills upon returning to their country of origin. This is the dream of a lifetime! 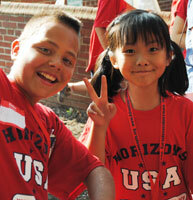 HORIZONS USA is an excellent language immersion summer camp. Designed and administrated by Advantage-USA, HORIZONS USA provides international campers the opportunity to live on the beautiful and prestigious campus of Cairn University, one of the top Christian Universities in the United States. Cairn University is located on 115 acres and is a safe, private and beautiful secluded campus very close to our American day camp location. Cairn is within walking distance to the train, shopping and convenience stores. What makes HORIZONS USA such a unique immersion experience is that each day our international campers are engaged in active games and activities with American campers. This social immersion is essential for conversational language acquisition skills! Most language experts agree that the best way to learn a language is to be immersed in the culture and society. Horizons USA is a crucial pre-immersion opportunity that can help prepare students who may want to study in the United States. At Horizons USA our international campers spend 6.5 hours a day playing and communicating with American kids their same age. Using fun games and activities as a program basis, Horizons USA is a superior language development program for those who want to improve their English language skills. “Our growth has been significant because we are committed to providing our international campers with a true immersion experience” A pre-immersion experience is essential for those who want to someday study in the United States. Welcome to Horizons USA. 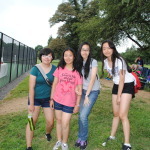 A premier language immersion camp that places international students with American students. Horizons USA has earned a reputation for being a premier English language immersion program that is located in the northeastern part of the East Coast in the United States. Our program is a unique, summer immersion camp for kids ages 10-16*. *In some cases, students younger than 10 may be accepted based upon positive evaluation of strong conversational English language skills. 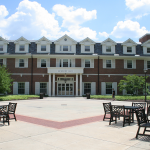 Campers live on the beautiful and safe campus of Cairn University. 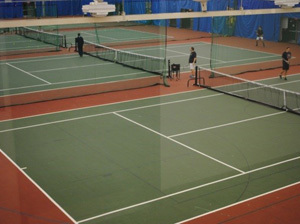 The campus includes air-conditioned dormitories, a beautiful athletic center, tennis courts, playing fields, trees, trails, a pond, and easy access to some of our country’s greatest historical landmarks. Cairn University campus is located at 200 Manor Avenue, Langhorne, Pa. 19047. 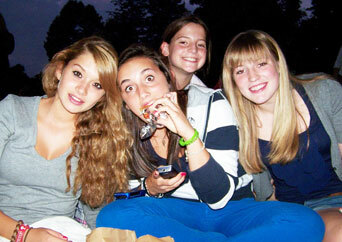 Immersion with American campers is the key for improving conversational language skills. Improved conversational skills will enhance academic language skills. 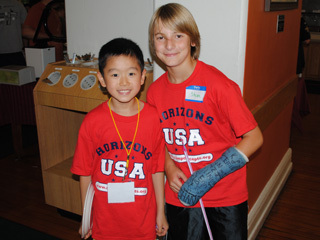 Our Horizons USA campers spend the majority of each day engaged in active games and activities with American campers. Campers will enjoy a wide variety of games and activities such as soccer, volleyball, basketball, swimming, tennis, arts & crafts, sling shot paintball, GaGa or any number of crazy kickball or large group games at one of the East Coast’s best summer day camps- Big Oak Day Camp. 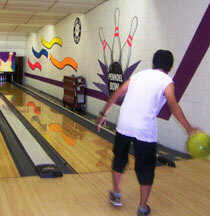 Click here to see a list of activities as well as a typical daily schedule at Horizons USA. 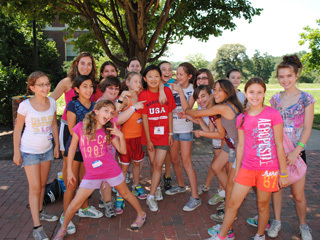 Following a fun day of games and activities, HORIZONS campers will transition into HORIZONS USA Language Academy under the guidance of certified teachers. The certified instructors have been carefully chosen because they have proven proficient in their academic field. Our goal is to improve conversational language skills. In doing so, our students will become better prepared take language proficiency tests such as TOEFL, IELTS or ITEP SLATE. Language: The course is taught in English (which will be the enforced language throughout the entire day). 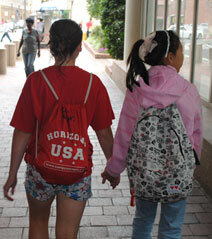 HORIZONS USA is designed to promote fast conversational language skills and vocabulary . Campers will see growth in their self confidence and speaking skills with hard work and a good attitude. 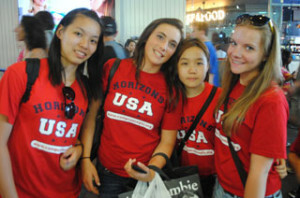 History and Culture: HORIZONS USA provides an excellent opportunity to learn about American culture and history. HORIZONS USA is perfectly located in a highly academic, affluent, and historic region that has a rich history and strong cultural roots to the foundations of the United States. Mix that in with the various world cultures represented in the camp and one can see how rich an opportunity HORIZONS USA can be. Private School Admissions Seminar: As an added value, HORIZONS USA students who are considering the option of studying in the United States will participate in an in depth information seminar about the private school application process. President and CEO, Steve Haines, is the Executive Educational Consultant for Advantage-USA and has spent 25 years as an educator and educational consultant helping, assisting and guiding many international students to a successful study experience in the United States. 3-week stay: Sunday, July 14 – Saturday, August 4. Horizons USA is a premier immersion program where our international campers spend the majority of their camp days with American peers. When the weekend comes, more fun and learning continues! We have planned several valuable cultural and historical trip experiences for our campers. Several weekend trip options have been planned. The cost of these trips (transportation, admission and entrance fees) are included in the cost of tuition. Campers will be reminded to bring spending money with them for any additional food, snacks and souvenirs they may want. Visiting all of the scheduled trip locations depends on the length of stay session and site selected. Several of these off campus trips require self-pay lunches such as when touring in the city, day trips to the beach. Students will be informed of these meal expenses. 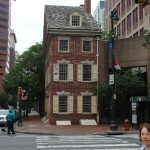 A historical trip of AMERICAN INDEPENDENCE and LIBERTY and the formation of government. 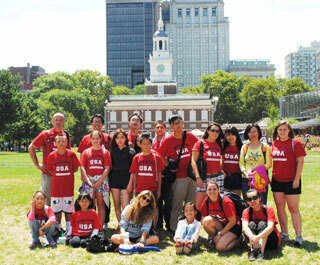 Campers will travel back in time to experience and feel the historic wonder of America’s legendary fight for independence in 1776 as they visit nearby historic Philadelphia. 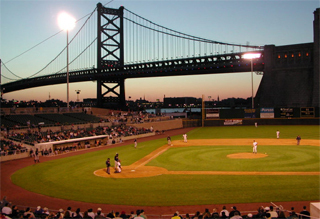 They will visit the birthplace the US Constitution, see the Liberty Bell, experience the culture and charm of the Reading Terminal Market, visit Chinatown and more. This trip to one of America’s most famous landmarks does not take place every summer. When it does, the trip will retrace the steps of those immigrants who decided to make their new life in the US. 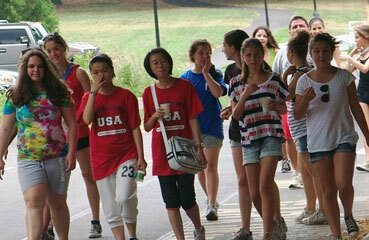 Campers will tour Ellis Island (gateway to America) and/or the famous Statue of Liberty. 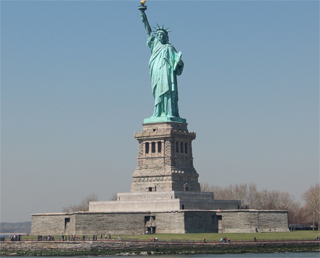 *Please note we do not always visit the statue or Ellis Island every year. We think one of the highlights of this immersion experience will be an extraordinary opportunity for an overnight home stay. 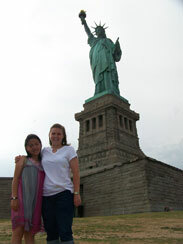 Our international campers making friends with American campers leads to a wonderful homestay opportunity. 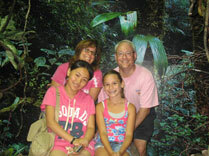 Campers can practice their newly learned and refined language skills in a warm and friendly home of an American family. This home stay provides an excellent opportunity for reciprocal cultural growth and exchange between the camper and the host family. Because this is a host family volunteer project, we cannot guarantee all campers will get a homestay experience, we do try to match as many of our international students with American host families as possible. 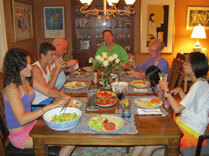 For those who stay the full 3-week summer session, we try to provide a longer homestay 2-night host family experience. 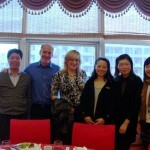 Advantage-USA is also an international educational consulting company. We have helped many international students find a “great fit” school to attend for high school or university. Our team of consultants work very hard to place each student in a school that is a ‘right fit’ academically, socially and emotionally. During the summer camp we bring in admissions officers or headmasters from some of the leading area private schools to meet with and answer questions. Because we also provide educational consulting, the opportunity to get to know our summer campers is extremely valuable when it comes to assisting them in finding the ‘right fit’ school for their high school choice. CONSIDERING ATTENDING AN AMERICAN PRIVATE SCHOOL? For those students and families considering applying for and attending an independent middle or high school here in the United States, ADVANTAGE-USA specializes in American independent school placement for foreign students. We realize that finding the right school fit for your child is so important and finding that perfect fit is our priority every time! Our services include interview and admissions guidance as well as school selection. Allow our collection of consultants assist you in what can be a life-changing decision process. Contact us for more information by email at: info@Advantage-USA.org. We are fortunate to be very close to one of the world’s most prestigious universities-PRINCETON UNIVERSITY. We will spend some time walking, shopping and visiting the historic and quaint town of Princeton. Each day, Horizons USA campers will play side by side with same age American peers as they enjoy a variety of games and activities as part of our local summer day camp. Games and activities may include: swimming, tennis, soccer, volleyball, hockey, basketball, softball, paint ball sling shot, and more. 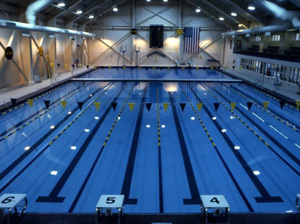 Other non-sport related activities include arts & crafts, nature, stage and theater, dance, off-campus trips, etc. 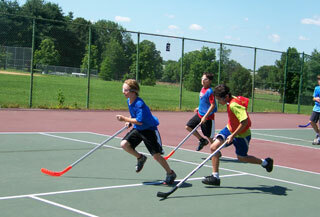 The games and activities are meant to be fun and enjoyed by everyone regardless of their experience or skill. Campers may also take in a shopping trip to a nearby shopping mall, visit a museum, attend concerts and a movie, and play miniature golf and tennis, as well as attend area religious services. Campers can enjoy peaceful strolls around the safe and tranquil campus of Cairn University during their unstructured free time. The opportunities for making memories are endless and abundant! Air Transportation: We are happy and able to arrange airport pick up and delivery to/from the below listed major airports. Air transportation is the sole responsibility of each participating family. 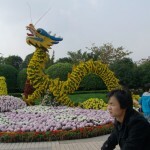 Parents must arrange and purchase a round-trip ticket for their child. It is important that careful attention is paid to arrival and departure guidelines as well as unaccompanied minor restrictions for the airline you choose..
John F. Kennedy (JFK) International Airport (2.5 hours from campus) *Whereas JFK might initially seem like the least expensive air ticket to purchase, because it is 2.5 hours away from camp, when you factor in airport pick up and delivery back- EWR prices will usually be a much better option. Mercer County Airport (TTN)(15 minutes) FREE round trip transportation to and from this airport for all campers. Or, campers may be dropped off by relatives or friends who live within driving distance to the campus. Airport transportation: For those who do not have friends or relatives nearby who are able to pick up arriving campers and deliver them to the campus of Cairn University, we can provide for excellent, high quality transportation from three major area airports for an additional fee. TTN- any camper arriving and departing from Trenton/Mercer Airport will receive free airport transportation. Unaccompanied Traveling Minor Departure Fee. Please note, each airline may have different unaccompanied minor rules and regulations that involve additional surcharges. Please consult with your airline prior to booking your tickets. Some airlines require us to chaperone and accompany a minor to the actual boarding gate and remain present until the plane actually takes off before we are permitted leave the airport. Since travelers need to report to the airport 3 hours prior to international departures, it is necessary to charge families a unaccompanied minor chaperone fee for our staff to deliver and wait with an unaccompanied minor. The addition fee for attending to an individual unaccompanied minor is $ 95.00 to be added to the above listed airport delivery fee. It is very important for registering families to communicate all established travel plans at least 4 weeks prior to the start of camp. Once details of an unaccompanied minor is confirmed with your airline, we will contact families if any additional unaccompanied minor charges apply. Missing a flight or connecting flight. Once we have booked for and established airport transportation arrangements, those become a paid expense and no refunds will be given. If, for any reason, a traveling camper misses their originally scheduled flight or a connecting flight which causes previously established airport transportation to be cancelled or rescheduled, the cost to do so will be the full responsibility of the traveling campers’ family. Due to circumstances beyond our control, these rescheduled arrangements may come at an expense greater than those listed above. This expense must be paid for by the family and is not the responsibility of Camp Concepts or Horizons USA. Arriving early/ Departing late. It is very difficult for us to accommodate travel plans for campers who are wanting to arrive early or stay later beyond our stated camp dates. If a camper needs to arrive earlier than the established camp start date or remain with us after the end of the camp session, the family agrees to pay for the additional stay at a rate of $175 per day or any portion of a day other than said start or end date. These arrangements should be made ahead of time and may only be done with the approval of Camp Concepts and Horizons USA. In some cases, early arrival or extended stay may not be possible due to dorm or staffing possibilities. Once your flight information has been confirmed, please email us the flight information (or WeChat: SteveHaines) and we will arrange for ground transportation service from the airport to HORIZONS USA. 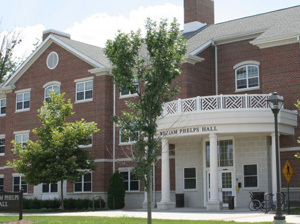 CAMPUS ARRIVAL: Campers should plan to arrive to the Cairn University campus between 3:30 p.m. and 5:00 p.m. on the first day of the selected session. DEPARTURE: Return Flight Transportation: For those traveling along, all return flights should be arranged between 11:45 a.m. and 2:00 p.m. from one of the above listed major airports. Those campers being picked up by friends or relatives should arrange for pick up between 9:00 a.m. and 10:00 a.m. on the last day of the session. Travel Insurance: We require families to purchase travel insurance to protect you from unforeseen circumstances that may prevent your child from making or completing this trip. Please see the travel insurance information below. Upon completion of the registration form and deposit, we will email you an acceptance letter invitation. Although all countries are different, we did not have any VISA denials last year. Most campers apply for and receive the B2 visitor Visa. After registration, HORIZONS USA will send an acceptance/invitation letter stating the information needed to secure a travel Visa. We do not issue I-20 which are necessary to obtain an F-1 student Visa. You should consult with the nearest U.S. embassy or consulate about necessary travel visa requirements. Below is some helpful information that may help in planning your child’s trip. The information below can be seen by visiting:http://travel.state.gov/. The B2 visotr visa allows a foreign citizen, to travel to the United States port-of entry and request permission of the U.S. immigration inspector to enter the U.S. The B2 “visitor” visa is a nonimmigrant visa for persons desiring to enter the United States temporarily for pleasure. Upon registering and paying the deposit, we provide families with an invitation letter that can be used to obtain your child’s visitor visa. 3-week stay: Sunday, July 14 – Saturday August 4. Please contact us directly before registering if you need a variation of the above-listed session dates. To register your child for this amazing opportunity, complete the following steps. 2. Pay non-refundable $200 deposit at time of registration to reserve your child’s placement. Following paid deposit, we will release a visa invitation/acceptance letter so that you may obtain your tourist visa. Pay tuition in full by March 1st and save $200! Tuition includes room and board, all on-campus meals*, admission and entrance fees to all weekend trips, exciting day camp activities and night time activities, and a free Horizons USA camper t-shirt. Round trip airfare is the sole responsibility of the camper’s family. Tuition does not include discretionary spending money and a few off-campus lunches on weekend trips. Please refer to SPENDING MONEY section below. Initial deposit required at time of registration is $500 (US currency). Refund Policy: No refunds will be given after May 16th. Select this link for Camp Participation Policies, including information about deposits and refunds, liability, behavior, camper removal, medical needs, and off-campus transportation. Campers may bring a laptop or iPad with them but neither are required. You will want to make sure campers travel with the proper voltage converter and adapters. If your child is having a difficult time adjusting to camp, or if there are any other questions or concerns, we will definitely call to discuss them with you. 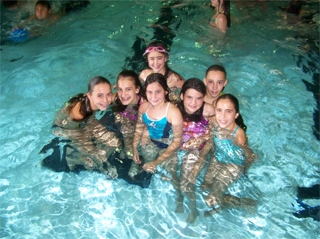 Our staff has been trained to work with campers who are homesick. We suggest that campers travel with additional discretionary spending money. Every person’s spending habits are different. Please discuss with your child how they will/should spend the money they travel with. We recommend that each camper travels with between $400 and $700 in American currency. Camper money can be kept in a locked safe so campers are not keeping it on their person or hidden in their room. Written verification of the amount of money that is deposited will be provided to each camper. Campers may withdraw any amount of money they need or want. Campers will simply sign a verification form for each withdrawal made. Camp Concepts will not tell campers how they can spend their money. We expect that all families will discuss spending habits prior to their arrival at camp. In addition, some families also choose to send campers with a Visa/Debit purchasing card. All necessary medical information is gathered on the registration form. Additional verification of the following booster shots is necessary. It is very difficult for us to track down forms so please take the necessary steps to make sure those forms are submitted in advance of the due date. 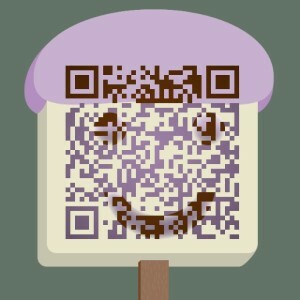 Be sure to WeChat or email your child’s medical information or records to us. Travel Insurance: Travel insurance is designed to protect the person traveling and the family from losing the monies paid for or expenses incurred during this travel experience due to unforeseen and unplanned circumstances. We strongly encourage all campers/families to purchase additional camper travel/medical coverage. This excellent coverage protects you for any unforeseen emergency that may result in your child not being able to make or complete the full trip, providing for emergency medical treatment that may be required during their stay, medical evacuation/repatriation and even baggage delay coverage. We highly recommend Abroad Insurance from the experienced people of Travmark. Please be sure to check off the immunization shots your child has received and indicate the date of the last shot when completing the online Medical Emergency Form. We recommend all campers have a physical before coming to camp. PLEASE MAKE YOUR DOCTOR APPOINTMENT WELL IN ADVANCE OF ARRIVAL. **To obtain the lowest price, please identify “Camp Concepts” in the field for “Travel Supplier” when obtaining coverage. Select this link to view the Abroad Insurance Summary of Benefits. Select this link to view the TravMark Insurance Letter. Towels: bath towel & beach towel for the pool. Camera (batteries and/or charger) necessary adapter for US electricity current. We realize these items are important to kids. Whereas we do not ban them from being brought on this trip, we do limit their use to evening free times and on weekend free times or in dorm rooms. We also remind campers that they are responsible for these valuable items. 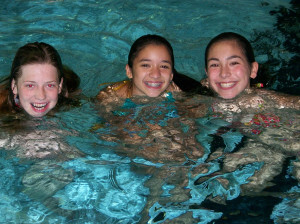 7:00-9:00 p.m. International camp activities, trips, special events, movies, swimming, games, etc. Schedule subject to change but is provided as a general reference guide. One of the things that make this experience so valuable is that during the day, campers are fully immersed and engaged in various games and activities with same age, American kids. Summer day camp camp activities provide campers with the exposure to a wide variety of fun and active games and activities. 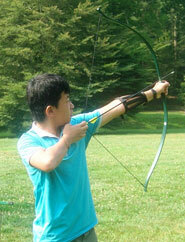 Some of these activities may include: archery, sporting activities, various other large group games, swimming, tennis, hiking and more. These activities take place from 8:45 a.m. to 3:30 p.m.
7:00 to 9:30 p.m. Special international camp activities, camp fire, etc. 6:15 p.m. Dorm Meeting or welcome session for arriving campers. Whereas participation in Camp Concepts’ Horizons USA is voluntary, campers and parents need to understand that we rely on camp acceptance and understanding that it is the responsibility of each camper to follow written and unwritten rules of safe behavior while enrolled in Horizons USA. We will work hard to instill a sense of community within the camp. Towards that end, we expect campers and staff to work together in a spirit of mutual respect. Each camper needs to accept responsibility for his/her own actions but should also look out for the best interest of others as well. We understand that even good kids may make a bad decision or use poor judgment at times, and we will address those situations with care and concern for each individual involved. However, there are those extreme situations when campers will not be given a second chance and may be asked to leave Horizons USA. Types of things that will not be tolerated: use of illegal drugs or alcohol, threats or acts of violence or aggression, stealing, leaving dormitory or campus without staff supervision, consistent disrespect and disobedience. Again, we work very hard to handle each situation with care and concern and certainly do not expect any problems. Parent and camper must sign the behavioral contract on the registration form that clearly states that if a camper were to be asked to leave Horizons USA due to bad behavior, it would be at the sole expense of the family to immediately book and pay for a return flight and no tuition would be refunded. Please speak to your child in advance of departure so they understand these expectations. Horizons USA is owned and operated by Advantage-USA. 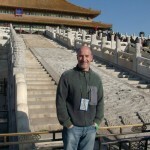 Advantage-USA is a subsidiary of Camp Concepts, which is also owned and operated by Steve Haines, President. Camp Concepts owns and operates summer camp programs for kids Little Buds Day Camp, Expressions Day Camp, and Big Oak Day Camp. If you have any questions, please call Steve Haines, 267-261-4098, WeChat: SteveHaines or email at: Advantage-USA@comcast.net. Select a photo gallery below to see images from that gallery, or select a video to play that video.